As detailed in the revealing New York Times story titled “To Survive in Tough Times, Restaurants Turn to Data-Mining,” restaurants are increasingly turning to Big Data for fix problems and predict patron preferences and behaviors so as to enhance the overall customer experience, and bottom lines in kind. However, one of the biggest challenges restaurant owners and marketers face today is customer acquisition and retention. The key to both acquiring new customers and retaining current customers is possessing the critical data that can help you, one, communicate effectively with the highest qualified contact possible and, two, further identify the needs of your current customers to foster long-term loyalty. Unfortunately, the today’s data industry is both far too complicated and highly fragmented, offering a confusing glut of choices that are overwhelming marketers who are in desperate need of this mission-critical information. The existing data marketing ecosystem of data and direct marketing list owners, managers and brokers is wildly inefficient and often ineffective, costing businesses untold millions in unnecessary time and money, and untold more in opportunity loss. Five ways merging Big Data, Artificial Intelligence and Blockchain technology is rectifying restaurant marketing gap. A blockchain approach provides data providers with full transparency, traceability and auditability, overcoming many of the hurdles data providers currently face in the existing marketplace.Anyone who has operated in the big data space knows that duplicate data, false data, and questionable sourcing are unfortunate industry truths. However, a blockchain-based approach provides complete transparency, allowing buyers to see where the data has been and where it came from prior to purchasing. “Smart Indexing” Engines are now utilizing predictive analytics (a type of artificial intelligence using data analysis and machine learning) for “Confidence Scoring” to provide continual real-time accurate data.Based on immediate business conditions, this will allow for record sets that can be a single individual that matches all parameters or millions of records that match desired parameters. 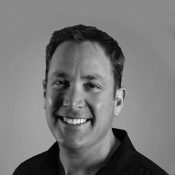 Adam Mittelberg is Chief Marketing Officer of DataBlockChain.io, a Media Direct, Inc.-partner company at the forefront of democratizing big data and leveling the data playing field. He oversees a marketing data solution featuring a robust interface between users and data sources and transparent backend system.